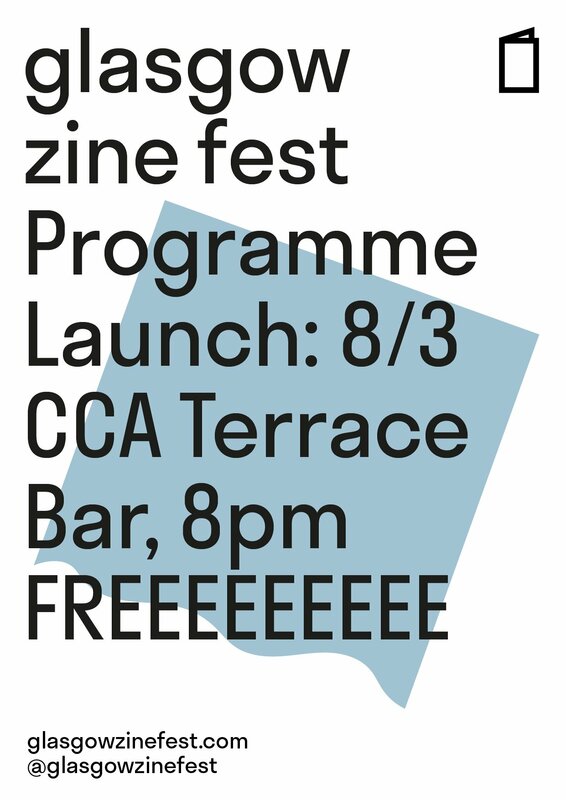 Glasgow Zine Fest is excited to invite you to their first ever Programme Launch! The evening will feature poetry from Colin Herd and Jane Hartshorn, along with performances and screenings from visual artists James st Findlay, Lewis den Hertog, Rosa Klerkx, Sabe Lewellyn and Lauren La Rose. All are self-publishers in some form or another – so you’ll get to see their work at the fair on 14 and 15 April too! Come along to the back room at Saramago’s Terrace Bar, CCA, on Thursday 8 March. The evening starts promptly at 8pm, and finishes at 10.30pm. The bar is then open until 12 midnight. Get your hands on their first ever printed programme for #GZF!! Find out more here. Or go to the Facebook event and see who else is going. For the launch the programme will also be available in large print, as a PDF on our website. For more information on access to the CCA, see their Access Statement. Unfortunately there will not be BSL interpretation at this event, however all events at the festival will be interpreted. Glasgow Zine Festival is a weekend of workshops, screenings, talks and socials topped with the biggest self publishing fair in Scotland. It takes place on 14 and 15 April 2018 at CCA Glasgow. Good morning everyone and thank you to the Committee for inviting us to give evidence this morning. We’re here to talk about sustainable funding for arts and creative organisations in Scotland. Creative Scotland’s most significant means by which we provide this is via three-year Regular Funding. Our first round spanned 2015-18 and our guidance for the second round 2018-21 was published in November 2016. The process and guidance for Regular Funding was tested with sector representatives who worked with us to test them prior to us going live. I want to start by saying I’m profoundly sorry that the delivery of this process has been such a negative one for many. We can’t let that happen again. My role as Chief Executive of Creative Scotland, is to take ultimate responsibility for everything that Creative Scotland does. I am currently in dialogue with everyone involved at every level in the process and I will make sure we learn from this moment and resolve all outstanding issues fairly and openly. I’d like to offer some context in which I hope the committee will find helpful. Regular Funding is an open application process, this time we had 184 applications and have funded 121. Overall we have committed to spending £33.9m on Regular Funding, £1m more a year than previously. Due to a £6.6m uplift from the Scottish Government for which we are very grateful, Regular Funding is no longer reliant on the National Lottery. We previously utilised £6m of National Lottery funding to regularly fund organisations. Many of you are aware that between September and December last year, like other public bodies, we were scenario planning against some very difficult budget predictions. In the end the budget settlement was much better than we expected. It’s important however to recognise that the 21% uplift we communicated, is made up of £10m for screen, set against hard economic targets, and £6.6m to replace the lost Lottery income for the arts as I’ve already outlined. That means our RFO budget effectively remains at standstill. Despite this we have been able to support 121 excellent organisations, across Scotland and across art-forms for the next three years. At one point last Autumn we thought we might have only been able to fund half this amount. The network includes 19 organisations new to Regular Funding, such as the Alchemy Film Festival in Hawick; Bodysurf Scotlandin Moray; Starcatchers, Scotland’s National Arts and Early Years organisation; Lyra, based in Craigmillar, in Edinburgh Toonspeak which provides free, high quality drama and theatre activities for young people aged 11-25 living in Glasgow; Theatre Gu Leor, the acclaimed Gaelic Theatre Company; and Tinderbox Collectivebased at North Edinburgh Arts. Making funding decisions is never easy, nowhere more so than in Scotland where creative talent and ambition far outweighs the funding we have available, particularly in the context of increasing reliance on Creative Scotland funding, as alternative sources of support come under increasing pressure. I fully understand that even on standstill funding some organisations are really struggling. As stated in our arts strategy, we are committed to working with all organisations to support them to build resilience for the future. Overall the applications we received totalled 33% more than our available budget. That created a real challenge for us particularly when organisations asked for an average of a 25% increase. We have tried to help by supporting all organisations coming out of Regular Funding through providing transition funding of between six and 12 months at the same level they are currently funded at. We are also in the process of meeting organisations to explain our decisions, and where they have been unsuccessful, discuss alternative routes to funding and how we might be able to support them in the future. Regular Funding is one of our routes to funding, sitting alongside Open Project and Targeted Funding which includes Screen. Over the coming three years, we expect to distribute circa £83m of Government and National Lottery funds a year across these three funding routes. One immediate thing I want to tackle is to make project funding more straight forward to access especially for artists, individuals, and artists led organisations. We’re planning to announce how we will do this very soon. I completely recognise that the Regular Funding process has been more challenging this time round than it needed to be – for both those applying and for our staff. It’s clear that the introduction of the Touring Fund, while based on a review of touring which included consultation, did not chime with everyone in the theatre sector and is not seen as a replacement for Regular Funding. That’s one of the reasons that the Board decided to take stock, increase the budget available for Regular Funding and add organisations into the network. We understand that this final stage of the process has created real difficulties, none of us want to repeat the experience, as it stands, in three years’ time. That’s why, as we have already announced, we are committed to a root and branch review of how we fund. We will – importantly – do this in full collaboration with the people and organisations we support. We welcome all of the constructive communications that we have received – of which there have been a significant amount – and much dialogue that has emerged. We are meeting with sector representative bodies – such as Scottish Contemporary Art Network, Federation of Scottish Theatre, Literature Alliance Scotland and others, whom we already work closely with – in the coming weeks to shape how we approach this review. Finally, I want to recognise the dedicated, hard-working and knowledgeable staff at Creative Scotland who work every day to make a positive difference to art and culture in our country. Many have recently joined us after high profile careers in the sector. Others have built up immense knowledge over many years of service. They have worked thoughtfully and diligently on this Regular Funding round, dedicating a great deal of time, energy and care to the process. We are all committed to doing things differently in the future, many ideas have been surfaced as we’ve been working through our difficult decisions and we’re looking forward to sharing these as we enter into dialogue over the coming months. Expressions of interest are sought from Scottish poets and performing artists who work or have worked in Gaelic or Scots for this cultural exchange project by Visiting Arts in the Spring. It involves a week in both Latvia and Scotland to collaborate with Latvian peers on written and performative work around the theme of endangered languages. The aim is to promote a greater awareness of endangered languages and the rich contemporary literature and culture in Scotland and Latvia. More info here. Below is a note from Marc Lambert of Scottish Book Trust about the unexpected passing of Alex Cluness. Alex was from a notable Shetland family and one of the instigators of Word Play, Shetland’s literary festival. He was a good poet himself, and did a lot of work – first in Shetland, then elsewhere – in supporting and developing new writers. He was an excellent person – funny, modest, and kind. His company was always a life-affirming pleasure. He was very kind and supportive to me as a newbie at SBT. Later I returned the favour in helping (in a very minor way) him and his colleague Tracy set up Literature Works, which enables and nurtures literature development activity in South West England. Alex’s family wanted as many of his former colleagues and friends to know as possible. They will keep in touch with me regarding funeral arrangements etc, which I will pass on. This is very, very sad. We have lost a talented poet and a great friend. Below is an appreciation by poet Kevin MacNeil, “Writers Who Deserve to be Better Known”, from Scottish Review of Books, 2011. Neglected writers are like Shetland on a wider map – marginalised and boxed away like an afterthought when recognised at all. It is to Shetland I turn your attention, and a contemporary writer who is a one of the UK’s best and most original poets. In Shetland literary circles Alex Cluness is quietly revered; elsewhere he is quietly ignored. He is a typical islander in that he devotes his energies to promoting the work of others – as Shetland’s literary development officer, then while working in literary promotion in South West England, now as a visionary leader at Uist’s Taigh Chearsabhaigh. Cluness’s poetic output is eclectic, impassioned and wide-ranging, encompassing Shetland and Other Poems, Disguise, 2005, and Mend. 2005 is an intense, cinematic, rain-soaked collection, a paean to Wong Kar-wai. The astonishing lines in the poems of Mend are so long the book had to be published in letterbox format. Disclaimer: Alex’s work is also included in a recent anthology I edited, These Islands, We Sing. 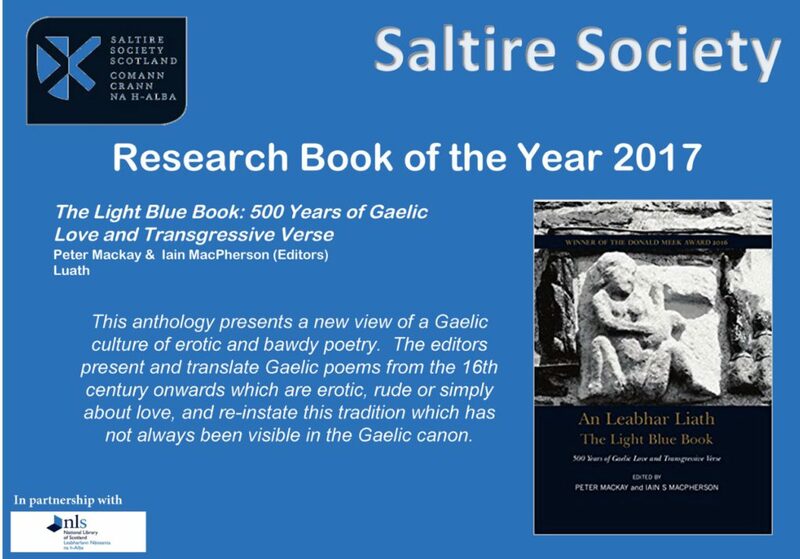 My primary intentions in editing this book were to emphasise how disproportionately high is the quality of poetry from the Scottish isles and also to give greater prominence to writers such as Cluness. I have read his work at quite a few events promoting the anthology and it always elicits a physical response, a gasp. Cluness’s poetry is epic, intimate, elemental, complex and beautiful. Let’s raise a glass to Burns from every corner of the world. As part of its work to promote Scotland’s Winter Festivals, The Scottish Government is celebrating our shared love of Scotland’s national bard, Robert Burns by creating a global virtual toast to the great man and we would love you to participate. Since there is no better opportunity than 25 January to come together with like-minded people from all over the world Scottish companies and brands, along with their employees and customers are being asked to help make that celebration bigger than ever before. Doing your bit is simple. Just post a picture of your toast on Facebook, Twitter and Instagram from 18 January using #cheerstoRabbie. You may want to create a group toast, or get all of your employees/customers involved individually – the more the merrier! You can toast him at your Burns Supper with a classic Scotch, a wee skirl of the pipes or a twirl on the dance floor. Or you can do your #cheerstoRabbie from anywhere that takes your fancy. Join us in raising a glass to the lassies, your family, your friends, and, of course, the big man himself because wha’s like him. 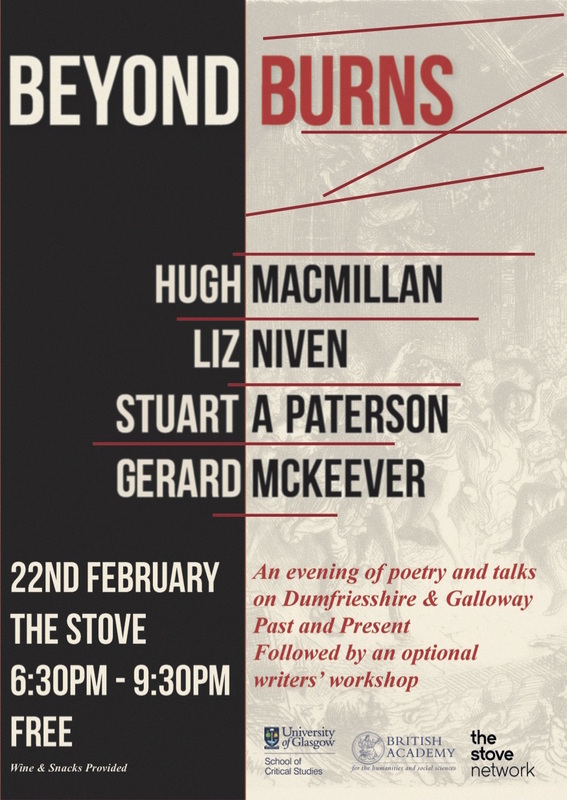 Poetry and talks on Dumfriesshire and Galloway past and present, featuring award-winning poets Hugh McMillan, Liz Niven and Stuart A. Paterson, alongside British Academy Postdoctoral Fellow Gerard McKeever. This is a free event at The Stove in Dumfries on 22 February from 6.30-9.30pm. Deadline: 5pm on Tuesday 30 January 2018. Hosted by Playwrights’ Studio, Scotland, in partnership with the Royal Lyceum Theatre, a professional writer will be given the opportunity to develop an original play, adaptation or new, scripted dramatic work for the stage, that is grand in scale. For more information and details on how to apply, please visit Playwrights’ Studio, Scotland’s website here. The Scottish Government is preparing a budget which will have major consequences for the future health of the nation. All the signs suggest that culture in general could face devastating cuts. We are calling for the government to increase funding for the arts and literature, for the good of everyone in Scotland. 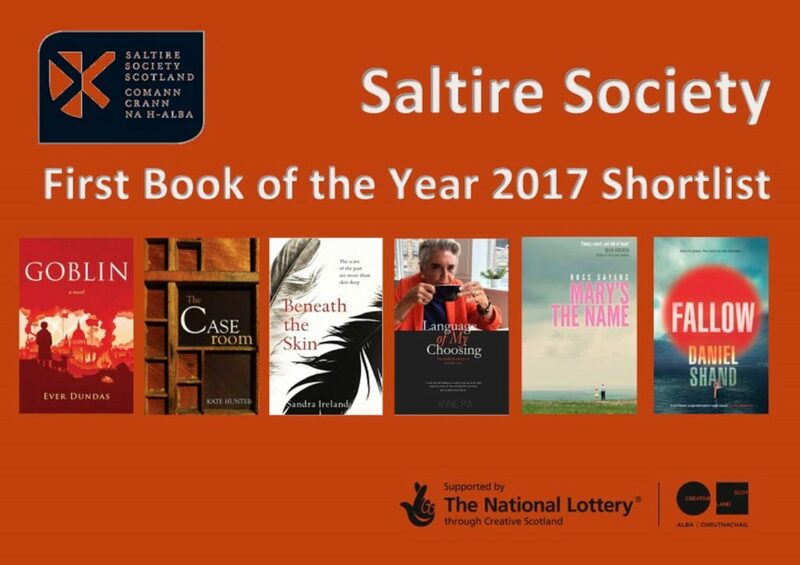 As writers who have built our careers while living here, or who have retained a close connection with the country even though we live elsewhere, we have benefited from Scotland’s long-standing commitment to making culture and the arts accessible for all – both in building readership for our work, but also in supporting the creation of our books. Some of us have received grants to help us write our books, while others have benefited from training and mentoring schemes for emerging writers. 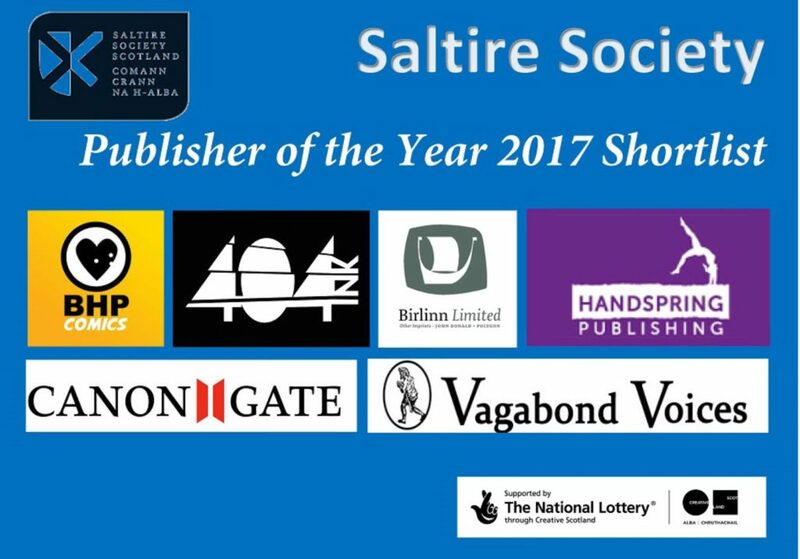 Our entrepreneurial publishers and our much-loved libraries have received vital support to publish and distribute books as widely as possible, while Scotland’s internationally-respected book festivals have achieved great things with small amounts of funding and have brought our work to worldwide attention. Supporting literature is not a drain on the country’s resources: books make an enormous contribution to the country, financially and reputationally. Our writers tour the world, talking about Scotland and its culture at book festivals from Guadalajara to Jaipur and from Reykjavik to Auckland. Our books are an advertisement for Scotland, attracting tourists to visit the landmarks they’ve read about, and foreign students to come on summer schools here – not to mention the visitors who come especially for our festivals. Harry Potter; The No. 1 Ladies’ Detective Agency; The Gruffalo – these are just some of the many international success stories that have been helped by Scotland’s literary support system. 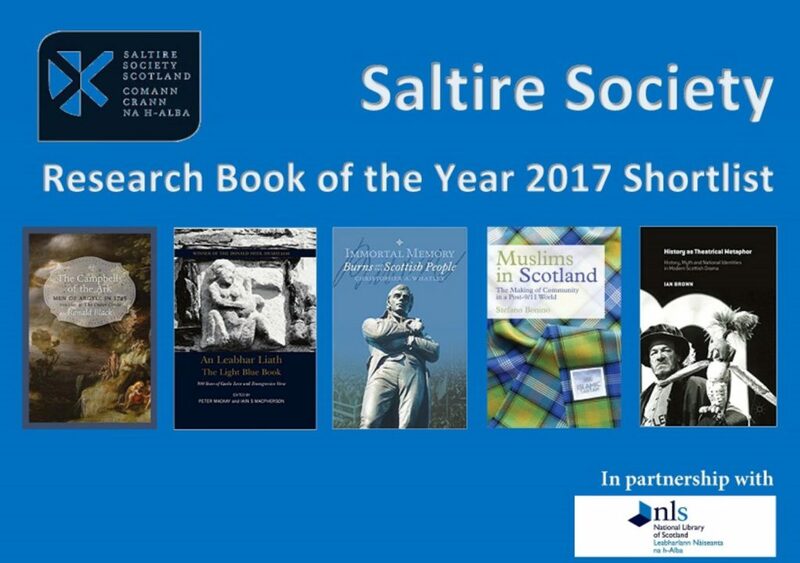 At the same time, key works of non-fiction such as Tom Devine’s The Scottish Nation and poetry from authors including Liz Lochhead and Jackie Kay have helped us better understand Scotland and its place in the world today. With more public support, writers can encourage diversity, inclusion and literacy, not to mention boosting Scotland’s economy. Of course there are difficult budget decisions to make in times of austerity, but the cost of supporting literature only amounts to a tiny fraction of the overall money the government will spend. When it comes to the arts and literature, for a modest investment from the government our work generates enormous financial and cultural dividends. Will future generations look back on the early 21st century and lament the absence of the next Muriel Spark, the next Robert Louis Stevenson, the next Edwin Morgan? We can’t be certain. But without support from the government, Scotland will surely damage one of its prize assets: its world-renowned literary heritage. What an irony we could be facing: a country which trumpets its First Minister’s Reading Challenge on the one hand, but which cuts funding to new writers on the other. The letter has been featured in the following publications and has been sent to the Scottish Government Cabinet Secretaries for their views. 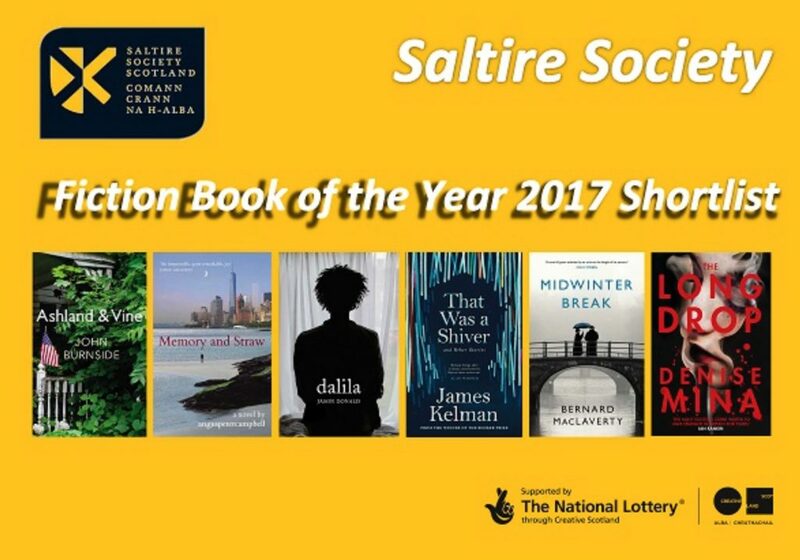 Congratulations to the winners – and all shortlistees – of the 2017 Saltire Literary and Publishing Awards, announced on St Andrew’s Day, Thursday 30 November 2017, at Central Hall in Edinburgh. 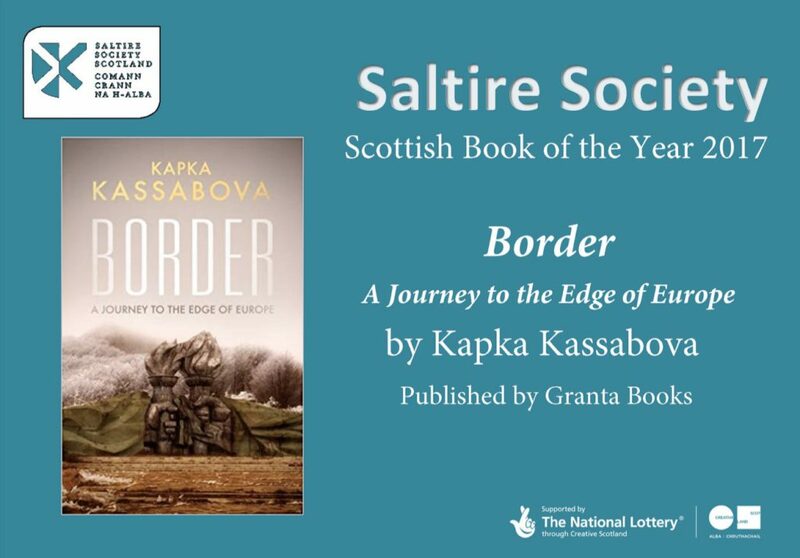 Border: A Journey to the Edge of Europe, looking at the borderlines that exist between countries, cultures and people was announced as the Scottish Book of the Year by the Deputy First Minister John Swinney MSP at the Saltire Literary Awards 2017. 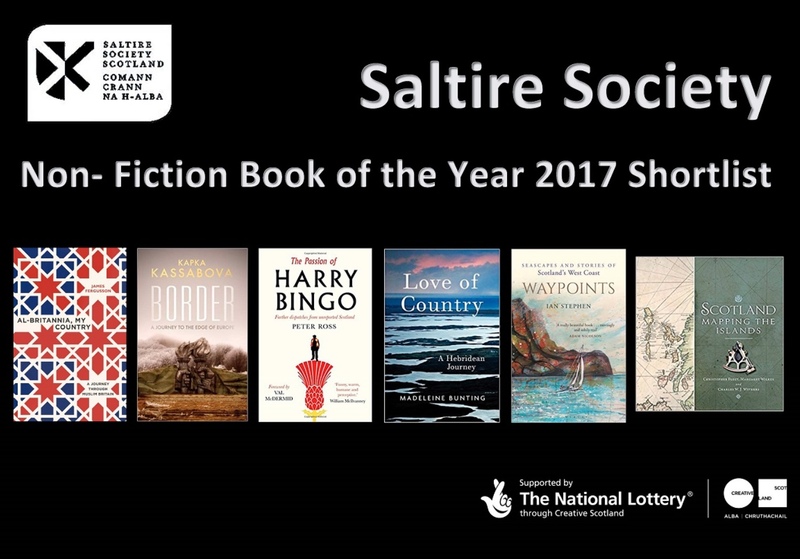 Now firmly established as Scotland’s most prestigious annual book awards, the Saltire Society Literary Awards are supported by The National Lottery through Creative Scotland and celebrate and support literary and academic excellence across six distinct categories. The winner of each individual book award wins a £2,000 cash prize and goes forward to be considered for the Saltire Book of the Year award and an accompanying cash prize of £3,000. 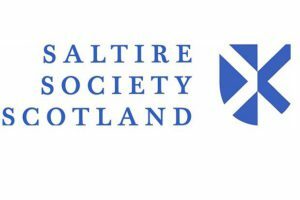 Information courtesy of Saltire Society. 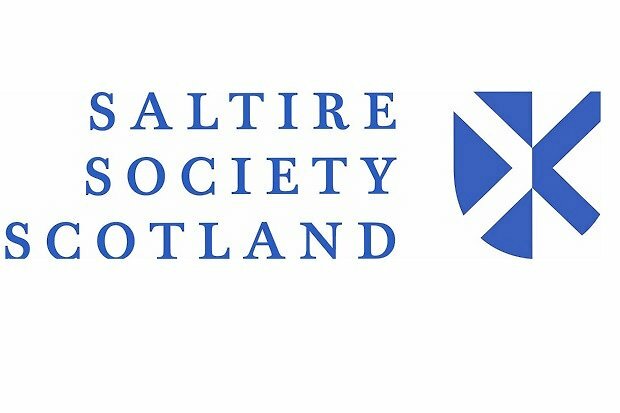 We’re calling on our members – and Scotland’s literature and languages community – to take action and write to Finance Cabinet Secretary Derek Mackay MSP and their local MSP to urge them to protect the culture budget. We must ensure MSPs understand that we want to live in a literary nation and it is their job to invest in and support the development of that literary nation. Use the info we’ve supplied in this template letter – but also draw on your own experience and the difference festivals, books, libraries, literature programmes have made to your life, your family and your community. This is important. It will only take 10 minutes. Please post or email your letter by Friday 1 December. Below is our letter posted to Mr Mackay, from LAS Chair Peggy Hughes. My name is Peggy Hughes, I am Chair of Literature Alliance Scotland, which represents the principal literature and languages organisations in Scotland, and I write to ask you to ensure continued financial support for literature programmes in Scotland in the forthcoming budget. At £293 million, total spending on culture, tourism and external affairs represented less than 1% of the 2016-17 Scottish budget. Yet arts and creative industries contribute 3% of the gross value added to the national budget. In 2015/16 Creative Scotland’s Regular Funded Organisations attracted £109million of extra investment from sources other than public funds and created 1.62 million public participation opportunities. In 2015, 92% of adults in Scotland participated in a cultural activity and Scotland’s Creative Industries contributed £4.6billion GVA to the Scottish economy, supporting 73,600 jobs. 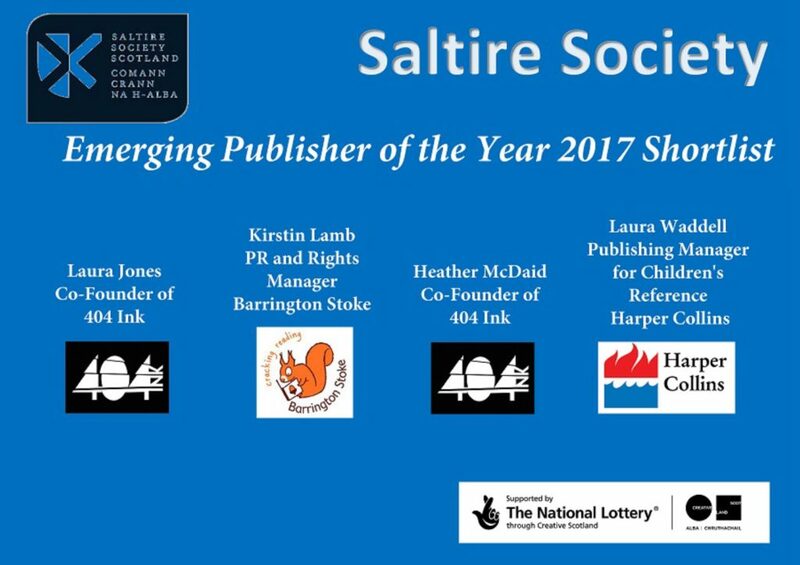 Scottish literature puts us on the international map and attracts business through publishing, bookselling and cultural tourism. 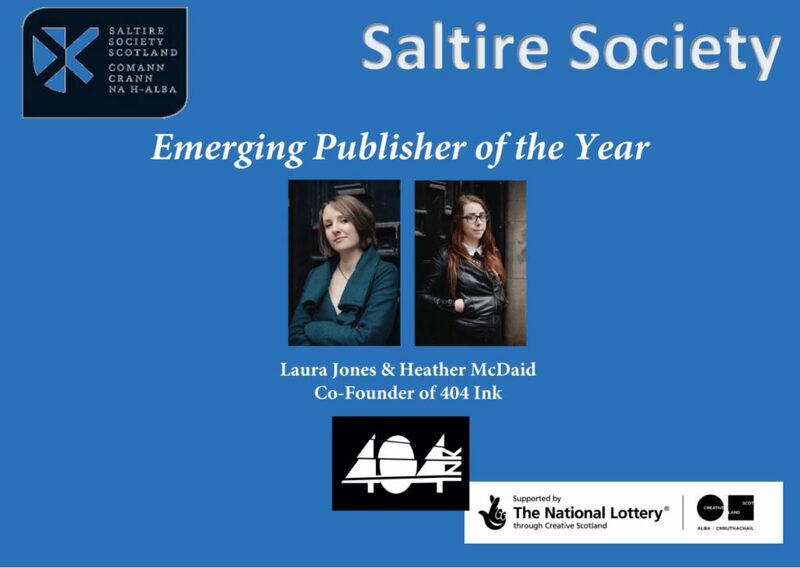 Scotland has more than 100 active publishing houses, producing over 3000 new books a year, employing +1600 people, and generating an annual turnover of c£150 million. The country’s 45 plus book festivals include the world’s largest, and book festivals attract millions to Scotland’s local economies. A third of visitors to Scotland cite history and culture as a key motivation to visit, especially overseas and long-haul visitors. Given the huge added value the cultural sector brings to Scotland’s economy, society and business community, it is clear that public investment in culture offers outstanding value for money. Literature is a success story for Scotland and we appeal to the Scottish Government to invest in Scotland’s literature for the future. Cuts to the public funding that supports the literary infrastructure in Scotland – the bedrock of a cultural offer recognised worldwide for its quality – will undoubtedly lead to the disappearance of many irreplaceable arts organisations and literary infrastructure which support our readers, storytellers, writers, and publishers. Reading is Scotland’s favourite cultural activity, which brings with it important health benefits. In fact, a 2013 study conducted by the Scottish Government shows clear and significant links between cultural participation and improved health and wellbeing. Right now, we are punching above our weight across all the creative sectors. Ours is a proud, confident, pioneering nation with a long reach. On behalf of our members, our communities and the young people of the future, we implore you: let’s not fall behind. Please protect the arts and culture. The Poetry Association of Scotland. Letters were sent from: ASLA, ASLS, CILIPS, City of Lit, Indie Authors, LAS, Moniack Mhor, Playwrights Studio, Scotland and Scottish Society of Playwrights, Publishing Scotland, SLAM, Scottish PEN, Wigtown Book Trust, UCSL. 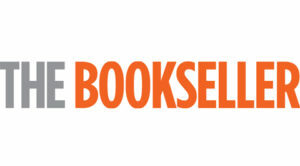 Society of Authors (in Scotland) supported the campaign with a letter from CEO Nicola Soloman, a piece on their website and in The Bookseller. Weegie Wednesday also sent the template letter to their network to encourage letters. At the Scottish budget announcement on 14 December 2017, the overall spend on what the Scottish Government defines as culture rose 10% to £166.8m. With Book Week Scotland 2017 kicking off today, Publishing Scotland is delighted to announce ScotBookFlood. Inspired by the unique tradition of book gifting in Iceland, Jolabokaflod, ScotBookFlood will celebrate Scottish-Nordic links and encourage thoughtful book giving in the run-up to Christmas. Jolabokaflod (which translates roughly as ‘Christmas book flood’) is the Icelandic tradition of giving books to one other on Christmas Eve and then spending the night reading. It’s such a popular custom that it is the reason why the majority of books in Iceland are sold between September and December. ScotBookFlood reflects the recent Arctic Circle Forum in Edinburgh, at which First Minister Nicola Sturgeon emphasised the importance of continuing to forge strong relationships between Scotland and its northern neighbours. 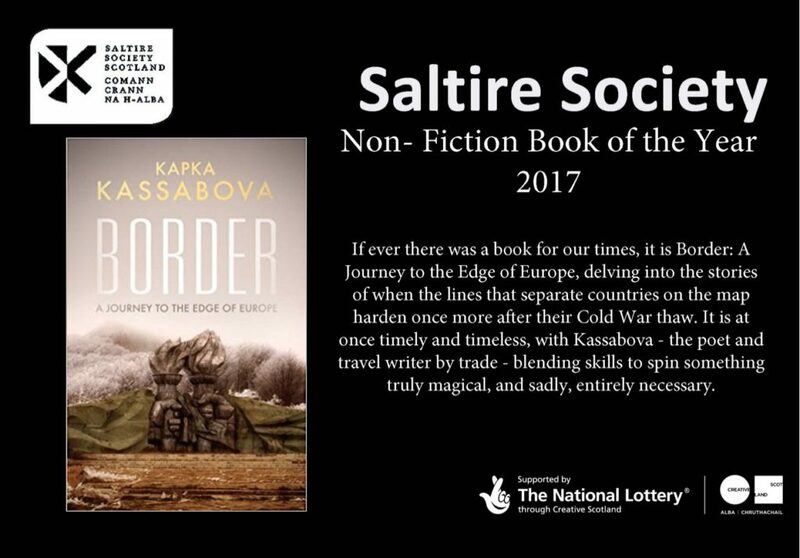 Iceland and the UK publish more books per capita than any other countries, and with more books sold in the run-up to Christmas than any other period, ScotBookFlood presents a timely opportunity to highlight dynamic Scottish-Nordic cultural connections. Interview with best-selling author Matt Haig about his new book for children Father Christmas and Me. Exploring Edinburgh and Reykjavík as UNESCO Cities of Literature. Exclusive Scottish gin cocktail recipe, inspired by Iceland’s volcanic outdoor pools. Acclaimed author Kirsty Logan recalls sheep, wild swimming, and solitude in an article about her writing residency in rural Iceland. Scottish Publishers reveal what Scottish books they will give this Christmas. Extract from McSmörgåsbord: What Post-Brexit Scotland Can Learn from Our Northern Neighbours by Eberhard Bort and Lesley Riddoch. Giveaways of books for adults and children. Pinterest boards highlighting Scottish-Nordic literary links. This week, Books from Scotland and Publishing Scotland will ask about what Scottish books people plan to give this Christmas, or what books from Scotland people plan to read over the festive period. They invite the public to join the conversation, using hashtags #ScotBookFlood, #BookWeekScotland, and tweeting @scottishbooks. 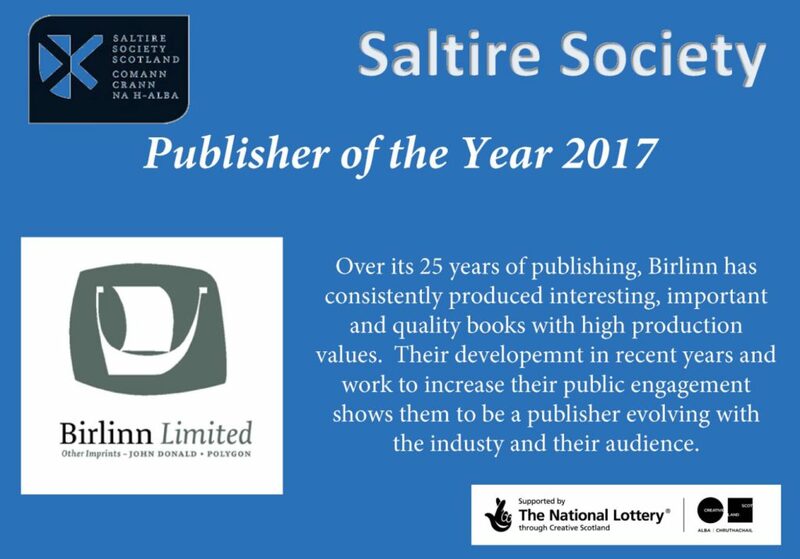 Publishing Scotland is the trade, network and development body for the Scottish book publishing sector. For more information visit www.publishingscotland.org and its books site www.booksfromscotland.com. Book Week Scotland, a Scottish Government initiative, is the annual celebration of books and reading, facilitated by Scottish Book Trust. It runs from Monday 27 November to Sunday 3 December 2017. Edinburgh was the first UNESCO City of Literature in the world. Reykjavík became the fifth UNESCO City of Literature in August 2011 and was the first non-English speaking city to join the Cities of Literature Network. The Books from Scotland ScotBookFlood Issue is live at www.booksfromscotland.com/issue/scotbookflood. See alsoBooks from Scotland on Twitter (@scottishbooks) and Pinterest. We are available for interview on topics relating to the ScotBookFlood campaign. Please contact Gill Tasker –gill.tasker@publishingscotland.org or call 0131 228 6866. Campaign logos and images are available on request from Gill Tasker. The cultural sector in Scotland awaits the UK Government’s budget announcement on Wednesday this week with trepidation: a perfect storm approaches. Stark warnings have been issued to prepare for significant financial challenges. But further cuts to the public funding that supports the arts and its infrastructure in Scotland, the bedrock of a cultural offer recognised worldwide for its quality, will undoubtedly lead to the disappearance of many irreplaceable arts organisations. The sector in Scotland has already weathered cuts of more than a third in real terms since 2010, including a year-on-year collapse of Lottery funding, which until now has been used to shore up Creative Scotland’s core funding for theatres, galleries, venues, literature, and more. Creative Scotland would need an increase of 48% or £22m on the 2016 budget simply to match the real-term level of 2010. Arts Council England, by contrast, this year announced £170m in new investment to support 180 additional National Portfolio Organisations. Core funding reductions are compounded by threats from other areas: if Barclay Review recommendations are implemented, millions would be wiped from the budgets of arts venues across Scotland. Culture is not a protected spend, so further cuts to Local Authority budgets will wipe out grass roots community arts activities. We welcome the positive public statements made by the Scottish Government in acknowledging the central role culture plays across our society, and we applaud the major new investments in film and the Edinburgh Festivals, The Burrell Collection and The V&A in Dundee. Clearly, the will to support arts and culture exists at the highest level. However, big flagship investments cannot substitute for the basic funding that our everyday, small-to-medium sized cultural groups need to exist. If these disappear, which many will if predictions about cuts to Regular Funding Organisations (RFOs) are correct, how will we nurture and sustain the highly skilled but low-paid artists who deliver arts, culture and creative experiences to audiences across every community in Scotland? We are clear that we have now arrived at a tipping point where even a small cut to Creative Scotland’s Grant-In-Aid, alongside the reduction in Lottery funds and local authority cuts, will devastate Scotland’s arts and culture infrastructure. Damage to this infrastructure, developed with the aid of public investment over the last fifty years, will be irreversible. This cannot be overstated. Conversely, a very small increase in funding would allow the core infrastructure of arts and culture in Scotland to survive and to thrive. The argument for investment is strong. The arts and culture sector is one of the most efficient and dynamic in the country. In 2015/16 RFOs attracted £109m of extra investment from sources other than public funds and created 1.62 million public participation opportunities. In 2015, 92% of adults in Scotland participated in a cultural activity and Scotland’s Creative industries contribute £4.6bn GVA to the Scottish economy, supporting 73,600 jobs. These outcomes draw from, and depend on, skills identified and developed by the arts. We are proud to live in a country that values arts and culture for its own sake as well as for its wider societal impact on health, education, justice and communities. Government funding is vital to this ecosystem. We write to ensure the potential impact of further cuts is fully understood, and we ask the Scottish Government to demonstrate that understanding in the Draft Budget to come. The letter appeared in The Herald on Tues 21 November 2017 here, and was also covered by Phil Miller online here. The next CPG on Culture will be held on Tuesday 5 December 2017 between 5.30pm-8.00pm at the Scottish Parliament in Committee Room 2. The meeting will look at Intangible Cultural Heritage. Heather Doherty has been involved in MGS’ work relating to intangible cultural heritage (ICH) since 2008, including international activity and Scotland specific activity. Heather was part of the MGS team for the redevelopment of the ICH in Scotland website and for the organisation of the international ICH Symposium “For Everyone” in November 2015. She has worked in partnership with TRACS to deliver ICH workshops throughout Scotland, and presented at the TRACS St Andrews Day ICH event in 2016. Heather has attended meetings of the ICH NGO Forum and UNESCO meetings relating to the ICH convention. Kate has been a knitter for over forty years. She has worked on the Sanquhar project since it started three years ago. Kate had always had a link to the pattern as she lives locally. She had her family and then the project helped resurrect her skills. She works as a volunteer on the project and has assisted in training many new members of the community with her skills, knowledge and patience. Elma is the knitting supervisor for the project. She has been a knitter for over forty years. Elma enjoyed knitting as it helped her work from home when she lived in a rural area and she could work from home and bring up her family. Elma worked for local company who did produce Sanquhar patterned products. Elma is dedicated to ensuring that the heritage of the pattern is passed on. David Francis is Associate Director of TRACS (Traditional Arts and Culture Scotland) and Director of Scotland’s Traditional Music Forum. He compiled a report into traditional music for the Scottish Arts Council in 1999 and chaired the Scottish Government’s Working Group on Traditional Arts which reported in 2010. Away from the desk, he is a dance-caller and storyteller, and as a guitarist and songwriter was one half of The Cast (with Mairi Campbell), producing 6 albums. He co-produces Distil, a long-running, creative development project for traditional musicians and is currently completing a Masters in Ethnology and Folklore at Aberdeen University. Máiréad Nic Craith is Professor of Cultural Heritage in the School of Social Sciences at Heriot-Watt University (Edinburgh, Dubai and Malaysia). Her publications on heritage include edited volumes such as Cultural Heritages as Reflexive Traditions (2007 with Ullrich Kockel), Cultural Diversity, Heritage and Human Rights (2010 with William Logan and Michele Langfeld) and The Blackwell Companion to Heritage Studies (with William Logan and Ullrich Kockel in 2015). In 2011, she was invited by the United Nations as an expert on access to heritage as a human right. Her TEDx talk on intangible heritage is below. 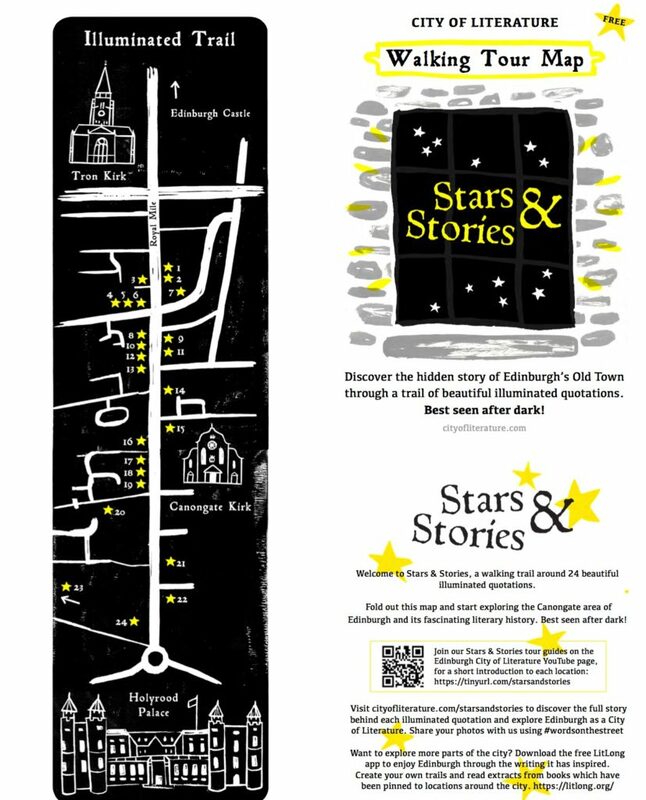 Stars & Stories is an illuminated walking trail around the Canongate area of Edinburgh’s Old Town. 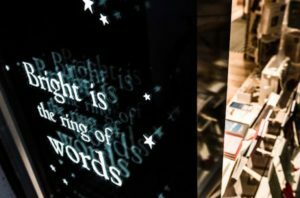 For the second year, Stars & Stories adds some sparkle to a winter evening walk with 24 beautiful light boxes displaying quotations which shine a light on the print and publishing history of the Canongate area. The trail of Words on the Street stretches from the Scottish Storytelling Centre in the middle of the Royal Mile down through the Canongate to the Scottish Parliament,forming an hour long tour. The boxes are lit between 4pm and 11pm each evening, from November until February 2018. A map, with more information about the quotations, is available from the iCentre on Waverley Mall or for download here. Stars & Stories is supported by LitLong, the free app to explore the literary city. With thousands of book extracts pinned to locations around the city, it’s the perfect way to create your own walking trails and discover the hidden words of Edinburgh. Information and image courtesy of Edinburgh City of Literature. Public libraries across the UK, including 2 in Scotland, are to receive new funding to help their communities explore major health and wellbeing issues including stress, obesity, body image and even death in new ways. The ‘Engaging Libraries’ funding, announced by the Carnegie UK Trust and global charitable foundation Wellcome, will support libraries to engage local people in imaginative and interactive projects exploring health and wellbeing. Libraries in East Dunbartonshire will engage with young and older people to explore brain development at different stages in life, and use the celebration the Year of Young People to work with young people and make intergenerational links via a project called Brainworks. Dundee libraries’ project Talking ‘Bout Teddies will work with Dr Zeedyk to highlight the importance of teddies to children’s wellbeing, by recording and screening stories and short films of children and adults talking about their teddies and hosting a public lecture on attachment as part of the Dundee Science Festival. Information courtesy of CILIP in Scotland. Today, Thursday 26 October 2017, the first details are announced for Muriel Spark 100 – a year-long, nationwide programme of literary and cultural events and activities marking the centenary of one of Scotland’s finest and most internationally respected writers, Dame Muriel Spark. Trailer_Muriel_Spark_100 from Creative Scotland on Vimeo. a call out by Muriel Spark 100 organisers to anyone with plans to mark the centenary, to be in touch. 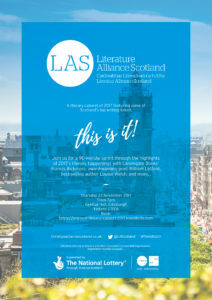 Events and activities already confirmed include the re-publication of all 22 of Spark’s novels by Polygon, an imprint of Birlinn ltd (from Nov ‘17); the unveiling of Spark’s extraordinary archive at a landmark National Library of Scotland exhibition (Dec ‘17-May ‘18); leading Scottish writers Ali Smith, Val McDermid, Janice Galloway, Kate Clanchy and Louise Welsh reflecting on Spark’s career in a new BBC Radio 3 series (Jan ‘18); an international conference bringing together fans and academics to explore all aspects of Spark’s writing (Jan/Feb ‘18); Edinburgh Spy Week’s ‘18. The initiative has been welcomed by Scotland’s Culture Secretary Fiona Hyslop: “I’m really excited about the forthcoming celebration of Muriel Spark 100. Dame Muriel Spark was one of Scotland’s literary giants and, to this day, her work continues to inspire generations of readers and writers and resonates with audiences across the country and beyond. Muriel Spark 100 Chair and Creative Scotland Head of Literature, Publishing and Languages, Jenny Niven said: “The centenary of Dame Muriel Spark’s birth is both a landmark moment and an unparalleled opportunity to permanently influence the way in which this leading figure of Scotland’s cultural history features in the public imagination. “There is so much to explore in Ms Spark’s work, from her incisive commentary, to her startling poetry, to her ability to effortlessly weave folk tradition with biting satire. It’s a particularly interesting time too to consider her legacy, as a Scottish writer who was fiercely international in her approach and who broke through a great many barriers in her career. For those looking to develop events or who would like to mark the centenary in some way – from exhibitions to readings, talks to screenings – contact Muriel Spark 100 Project Coordinator Sabrina Leruste at s.leruste@nls.uk who can offer advice on promoting events as part of the Muriel Spark 100 programme and making connections with relevant counterparts. A major new exhibition revealing unique insights into Muriel Spark’s extraordinary life and work. Featuring personal artefacts never before seen by the public The International Style of Muriel Spark will showcase the National Library of Scotland’s Muriel Spark Archive which is one of the most comprehensive personal records of a writer’s life ever assembled. The writer’s boxed archive covers the period from the 1940s until her death in 2006, taking up some 46 metres of shelving — just short of the height of Edinburgh’s famous Scott monument. The early records of wartime poverty that chart the struggles of an unknown author are joined by scores of diaries, fascinating letters including those with literary giants, world leaders and film stars, diaries, photographs, newspaper cuttings and school magazines all of which illuminate the inspirations behind Spark’s literary style, her love of fashion, and the significance of the places where she lived. In a bold publishing move, all 22 novels written by Muriel Spark are being re-published by Polygon, an imprint of Birlinn ltd. Each novel will be published in a striking and collectable hardback centenary edition, carrying a series preface by editor Alan Taylor and an introduction by such well-known writers or critics as Ali Smith, William Boyd, Alexander McCall Smith, Candia McWilliam, James Wood, Andrew O’Hagan, Joseph Kanon, Zoë Strachan, Allan Massie, Kapka Kassabova, Dan Gunn Ian Rankin and Richard Holloway. 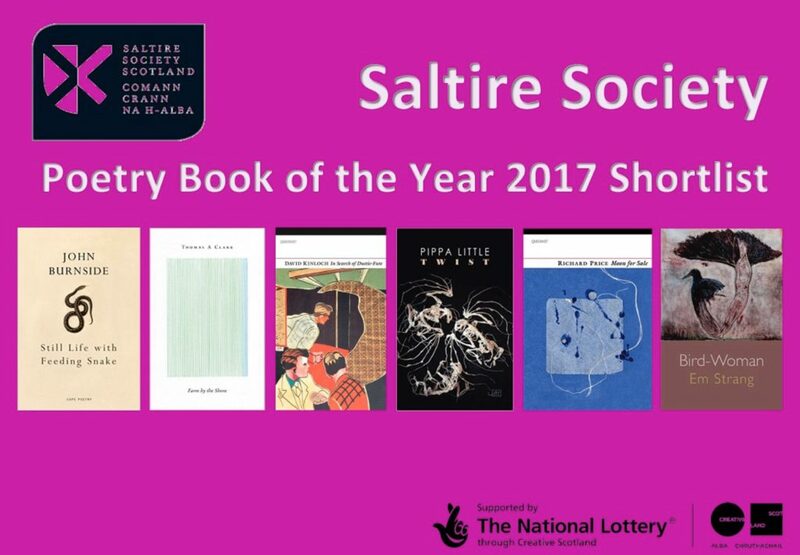 Supported by Creative Scotland and The Muriel Spark Society. Alan Taylor added: “Everyone knows that Muriel Spark was the author of The Prime of Miss Jean Brodie, which is undoubtedly one of the twentieth century’s great works of fiction. What too few people also know is that she wrote 21 other novels, all of which are infused with her trademark blend of fun and profundity, original thinking and peerless style. BBC RADIO 3 AND ONLINE – ALL MISS BRODIE’S GIRLS? Every night from Sunday 29 January until Thursday 2 February, leading Scottish writers Ali Smith, Val McDermid, Janice Galloway, Kate Clanchy and Louise Welsh will reflect on different aspects of the career of Muriel Spark in a series of essays on BBC Radio 3. Early in 2018, BBC Scotland and BBC Four will screen a documentary on the life and work of Muriel Spark. Presented by Kirsty Wark, the programme will explore the writer’s extraordinary life and work. At the end of January, the University of Glasgow will host a 2-day symposium exploring all aspects of Spark’s writing. Film screenings and creative writing workshops are being planned alongside talks and discussions from Spark fans, distinguished academics and Scottish and international writers including Zoë Strachan, Louise Welsh and Ali Smith. Themes will cover humour, satire and transgression, faith and surveillance, writing and gender in Spark’s work. Alan Taylor, longstanding friend and travel companion to Muriel Spark, editor of the Birlinn novels re-edition series, well-known literary journalist for over 30 years and author of many books will publish in November 2017 Appointment in Arezzo: A friendship with Muriel Spark. Appointment in Arezzo offers an invaluable portrait of one of Edinburgh’s premiere novelists. Edinburgh Spy Week is an annual week of public events focusing on spy fiction and film and the ways in which secrecy and spying run through our culture, organised by the University of Edinburgh with the National Library of Scotland, Edinburgh Filmhouse, and Blackwell’s. To tie in with the centenary, Spy Week 2018 spotlights the role of secrecy in the life and work of Muriel Spark. Spark was recruited into the Black Propaganda Unit of MI6 during WWII: ‘I played a small part’, Spark wrote, ‘but as a fly on the wall I took in a whole world of intrigue and method’. The week of events will explore the ways in which this ‘world of intrigue and method’ play out in Spark’s writing, in which espionage, secrecy and spying often takes centre- stage. Dr Simon Cooke, Department of English Literature, University of Edinburgh, said: “The idea of the event is to explore a pervasive cultural concern. While Spark wasn’t a spy out in the field, she had a career in political intelligence and she did meet a lot of people who were spies. It was a small part of her life in some ways, but if you look at her fiction, the notion of secrecy occurs with some frequency. Books like The Mandelbaum Gate, The Hothouse by the East River and Territorial Rights are, in many ways, spy novels. Since its inception in 1991, Glasgow Women’s Library has been collecting Muriel Spark’s work. Vintage gems in Spark’s cover art collection, many of which have been donated from Spark fans looking for a new home for their beloved books, will make up an exhibition that will show a colourful timeline of interpretations of Spark’s novels over the years. Taking inspiration from these cover images, a group of first and second year students from Glasgow School of Art are working to create their own exhibition of illustration, and graphics. Showing from summer 2018, this will run alongside the cover art exhibition. 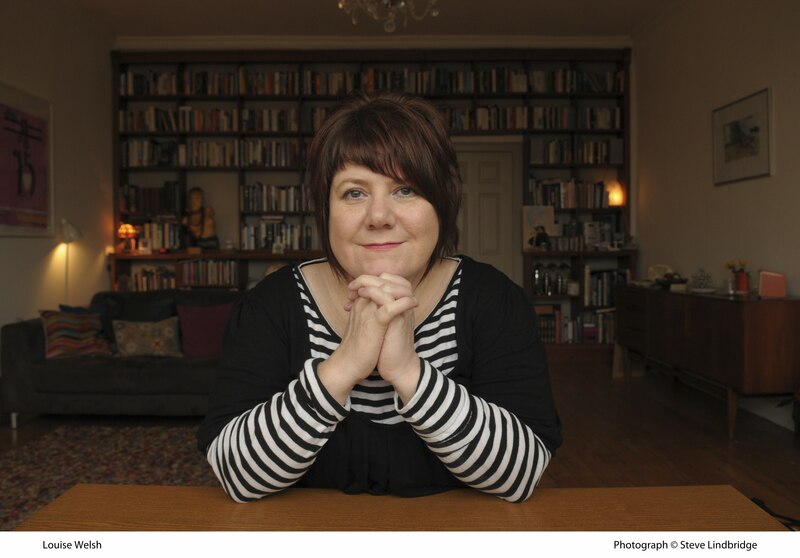 Adele Patrick, Lifelong Learning and Creative Development Manager at Glasgow Women’s Library said: “The Muriel Spark centenary is a hugely important event for Scotland as it provides us with the opportunity to honour one of our great literary talents. As one of only a few 20th century Scottish women writers to have her legacy recognised in this way, it poignantly and positively reminds us about the wider array of women writers from history that we risk forgetting. Muriel Spark 100 is collaborating with Scottish arts schools to invite Illustration, Design and Animation tutors and lecturers to involve students in developing new work based on, or influenced by Spark’s work and/or life. Glasgow School of Art, Edinburgh College of Art, Gray’s School of Art and Duncan of Jordanstone College of Art and Design are already on board with the project which will offer participating students opportunities to present their work through a variety of platforms as part of the Muriel Spark 100 programme. Tutors and lecturers who would like to involve students in the project are invited to contact Sabrina Leruste, Muriel Spark 100 Project Coordinator for more information, at s.leruste@nls.uk. Deadline for submissions: Friday 30 March 2018. Edinburgh City of Literature Trust will be partnering with Mercat Tours to launch Muriel Spark walking tours from Spring 2018. The tours will set Muriel Spark’s work in the context of the city, exploring the places that influenced and inspired her. Further details and booking information be announced soon. Muriel Spark 100 is a year-long, nationwide programme of literary and cultural events and activities marking the centenary of one of Scotland’s finest and most internationally respected writers, Dame Muriel Spark. Muriel Spark (née Camberg; 1 February 1918 – 13 April 2006) was a poet, writer of fiction, criticism and literary biography. Best-known as the author of The Prime of Miss Jean Brodie, Muriel Spark was at the top of her profession, internationally, for more than half a century and went on to win many literary awards. She received a number of honorary degrees, and was made a Dame Commander of the British Empire in 1993. Never out of print, Muriel Spark wrote many well-known novels including The Driver’s Seat, The Girls of Slender Means and Momento Mori. Her work found critical approval, and her novels, where the supernatural and the surreal come into collision – and collusion – with the everyday, helped to change the face of fiction in the English language. Creative Scotland is the public body that supports the arts, screen and creative industries across all parts of Scotland on behalf of everyone who lives, works or visits here. We enable people and organisations to work in and experience the arts, screen and creative industries in Scotland by helping others to develop great ideas and bring them to life. We distribute funding provided by the Scottish Government and the National Lottery. www.creativescotland.com / @creativescots www.facebook.com/CreativeScotland. From the 1st November 2017 our contracts with Highlands and Islands Enterprise to deliver, through Emergents, the XpoNorth Writing & Publishing and XpoNorth Craft, Fashion & Textiles support will end. Over the past three years we have had the great pleasure of working with some amazing businesses and wonderful creative people, it has been a privilege. It is anticipated that support for creatives businesses will continue in some form through Highlands and Islands Enterprise (HIE), to keep up to date with news please sign up for the XpoNorth and HIE newsletters. Thank you to everyone we have worked with, hopefully our paths will cross again in the future. Poetry by Heart Scotland 2017-18 is open! Registrations are now open for the 2017-18 Poetry by Heart Scotland competition! Participation in the competition is free of charge to all schools for S4-S6 pupils, aged 14-18. To register your school or to ask any questions just email rose.harrison@spl.org.uk to receive your resource pack. For more information, take a look at our handy Poetry by Heart Scotland guide. Poetry by Heart Scotland has a pyramid structure: class heats are optional if you have lots of keen reciters but all participating schools have an official school competition. School competition winners participate in regional heats, which this year are taking place in Universities across Scotland. The winners of all the regional heats take part in the national finals in March 2018. The deadline for schools to register is Friday 3rd November 2017. Students have to memorise and perform two poems – one written before 1914 and one after 1914. One of the poems must be by a Scottish poet or a poet resident in Scotland. You can find the permitted competition poems free at www.poetrybyheart.org.uk or on the Scottish Poetry library website at our Poetry by Heart Scotland pre-1914 and post-1914 tags. Why not choose one poem from each website? When you register, SPL will send out a pack by post containing all of the documents you need to run PBHS in your school.You can find them online too here. Information courtesy of Scottish Poetry Library. National Poetry Day is coming! 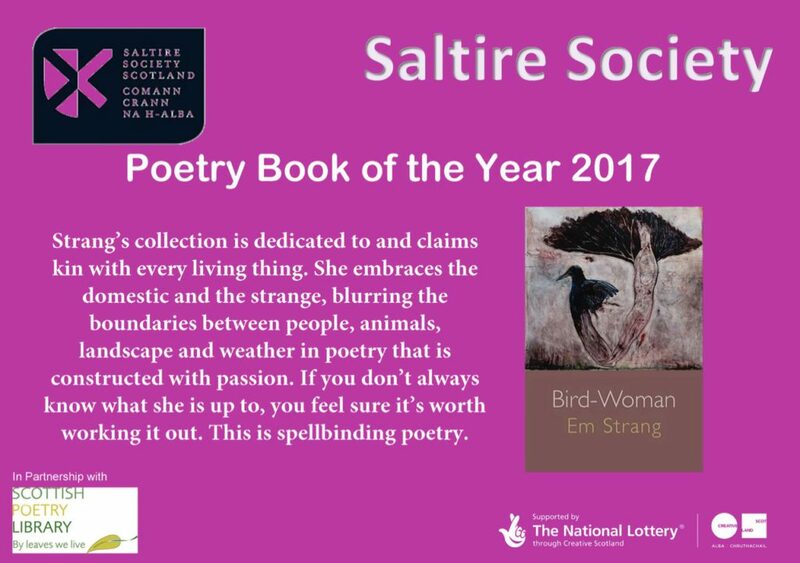 On Thursday, 28 September, the Scottish Poetry Library (SPL) will take the lead in Scotland in promoting the UK’s annual celebration of poetry and poets. The theme for National Poetry Day (NPD) 2017 is ‘freedom’. 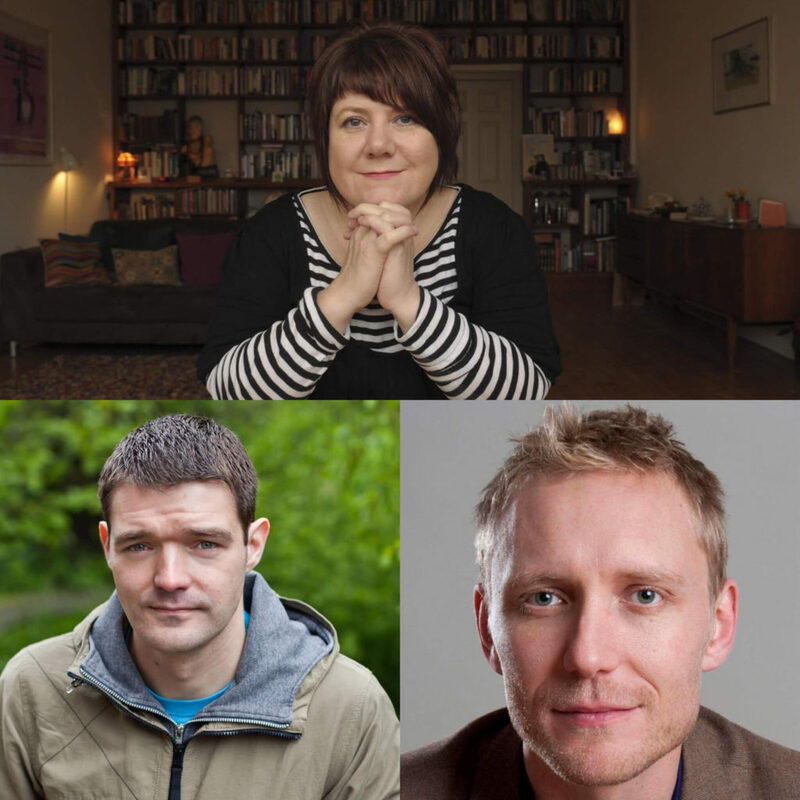 In addition to providing unique resources to mark the day, the SPL is co-hosting three events and supporting the launch of BBC Scotland’s Poet in Residence. Poets Don Paterson, Christine De Luca and Hugh McMillan will read at special events to celebrate NPD. Award-winner Paterson will read in the unique setting of the Jupiter Artland sculpture park outside Edinburgh. Christine De Luca will mark the end of her time as Edinburgh Makar with the publication of a collection of poems about the capital, Edinburgh: Singing the City, which she will launch at the SPL on NPD. At the Robert Burns Birthplace Museum in Ayr, Hugh McMillan will perform his own work alongside competition winners from Alloway Primary, who have written their own poems for NPD. National Poetry Day also marks the launch of BBC Scotland’s Poet in Residence. Earlier this year, after an open call for submissions, BBC Scotland announced the second poet to take up the post is Stuart A. Paterson (succeeding Rachel McCrum, who held the post in 2015). The residency, which is four months long and will conclude on Burns Night, begins with Paterson performing his own specially-written poem about ‘freedom’ to mark National Poetry Day. The poem will incorporate a distinctive local word as part of UK-wide NPD celebrations: on that day, each of the 12 regional BBC areas will broadcast 12 poems by 12 local poets, with each poem inspired by a distinctive local word chosen through a call out for listener suggestions across the country. The SPL is already making available resources for teachers and readers specially commissioned for 2017’s NPD. The notes are based on six poems, all on this year’s theme of ‘freedom’, which have been turned into poem postcards. The poems are in English, Gaelic and Scots, and are available from public libraries in Scotland for free. The poems chosen include work by Kathleen Jamie and Julia Donaldson. Audio and educational content – exclusive to the SPL – based on the six poems is available on our website now at http://www.scottishpoetrylibrary.org.uk/connect/national-poetry-day-2017-freedom. WHERE: National Museums of Scotland, Edinburgh – Seminar Room, Learning Centre 4. How might the partnership group evolve, and identify key themes for collaborations? Please feel free to share details of the meeting with colleagues or other parties working in culture, heritage, tourism or academia that you think might be interested in attending. Please enter the National Museum of Scotland via the street level entrance on Chambers Street and take the stairs or lift to the Grand Gallery on Level 1. Walk straight past the shop area with Jacobites ticket desk on your left . You will see a small ‘bridge’ walkway leading to an archway . Go through archway and upstairs which lead to the Learning Centre Level 4. If you need to take a lift to Level 4 there is a small lift to the right hand side of the stairs. Information courtesy of Asif Khan, SPL. 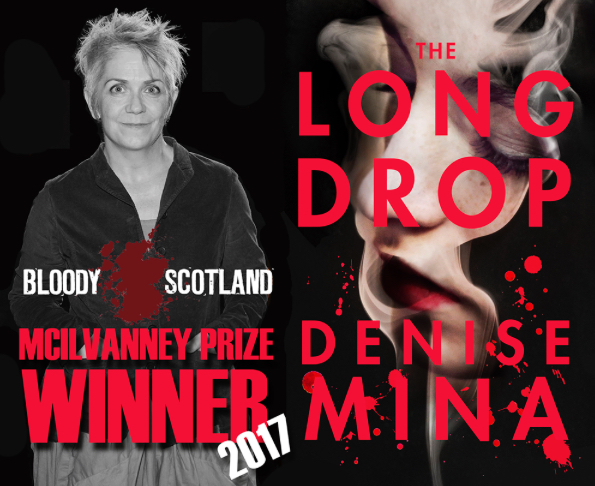 Congratulations to Denise Mina who won the Bloody Scotland McIlvanney Prize Scottish Crime Book of the Year 2017 for The Long Drop. It is the first time a woman has won the award. The award was announced last night (Friday 8 September 2017) at the opening night of Bloody Scotland – Scotland’s international Crime Writing Festival – which runs from 8-10 September 2017 at venues in Stirling. “The Long Drop by Denise Mina transports us back to dark, grimy Glasgow, telling the social history of a particular strata of society via the grubby, smokey pubs favoured by crooks and chancers. She takes us into the courtroom, as well, where Manuel acted as his own lawyer, and where hoards of women flocked daily, to watch the drama play out. Full of astute psychological observations, this novel’s not only about what happened in the 1950s, but about storytelling itself. It shows how legends grow wings, and how memories shape-shift and mark us. Information and photo courtesy of Bloody Scotland. 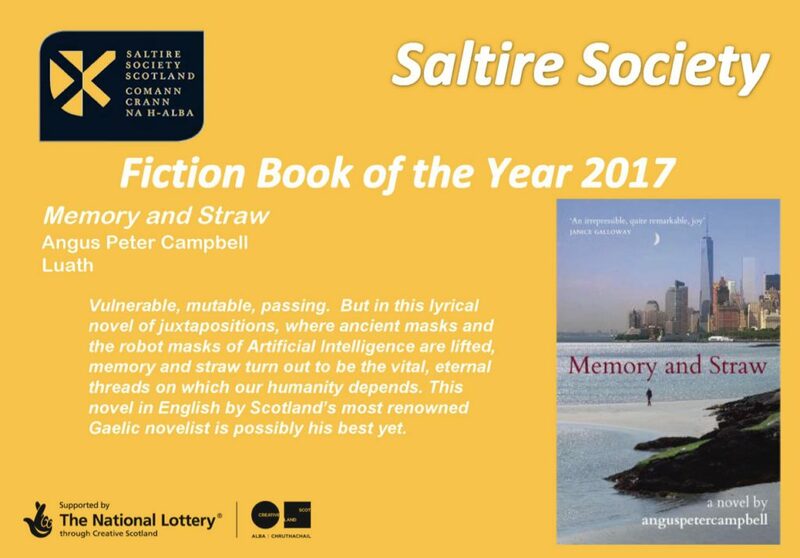 Sunday 27 August 2017, 7.30-9pm, Edinburgh International Book Festival. Format: short presentation by each guest, followed by group discussion, then audience questions. Read out two examples of letters from parents who use the libraries in different ways, including the difficulties in accessing ‘hubs’ – rather than smaller local libraries – for some parents. She had heard comments that some librarians didn’t dare speak out: “librarians are not allowed to say, ‘our libraries are doing well'”. Emphasised that although understandable some cuts need to be made in times of financial difficulty, it would be disastrous if buildings were sold and we couldn’t get them back. Shared stats from Carnegie Trust report ‘Shining a Light: The future of public libraries across the UK and Ireland.’ Showed that although library membership is doing well, frequency of use is down (from 2011-2016), and that there’s a value action gap (i.e.libraries are seen as crucial but are not necessarily being used). Issue of two very different user groups, who need two different messages. There’s an appetite for change amongst the public, including increased council services available in libraries, more events and more cafes). Increased range of books was not seen as a priority for many people. Potential improvements: digital offer, a more tailored offer, which recognises that it’s not a universal/broad service? Also: Create a workplace culture of innovation which empowers library staff and share learning across the jurisdictions, which all have different strengths and weaknesses. – discussion of important of libraries to people once released from prison – JP pointed out we could connect the dots. – JP: Explained that something is being lost in communication, for example many people surveyed said they wanted to be able to reserve books online, which they already can. Also: think about the ‘why’ of libraries when spreading the message, and recognise it’s not a universal message. – PW: Libraries could “step sideways from tradition” and become more fearless, with more involvement from young people. Can be intimidating to some people. 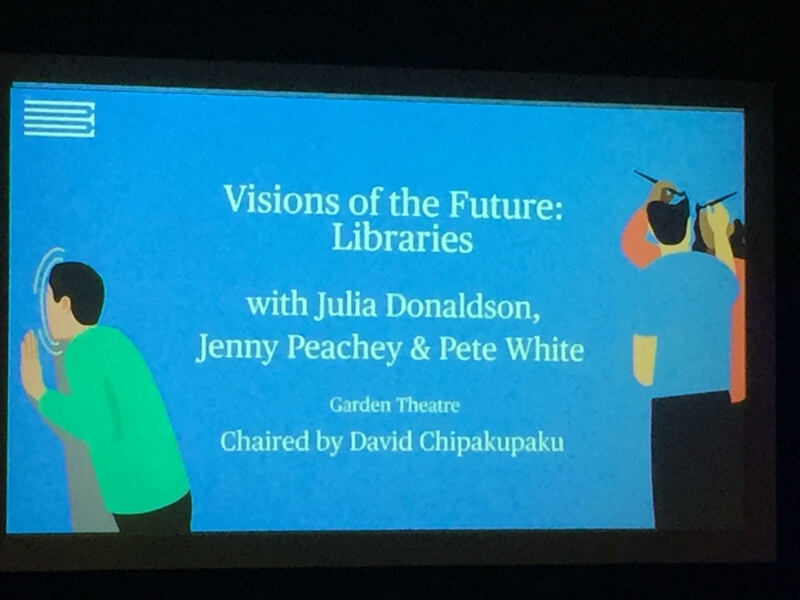 – JD: Libraries as a physical place v. important – vital role as a community centre. – Discussion of the social return on investment, e.g. training volunteers, which means they’re seen as people with the ability to contribute. Importance of quantifying long-term value and preventative spend, e.g. libraries save the NHS millions each year. – Questions raised about who do we expect to invest in libraries? (US model of philanthropy mentioned). How can they generate money? How to change the social mindset about libraries? DC: Birmingham! But with all local services still intact. JD: I love the variety, and how each one is so different. PW: Wee free libraries, available to all. Pamela Tulloch (CEO of Scottish Library and Information Council) pointed out that the situation in Scotland is not as dire as often portrayed: new libraries are opening around the country, and it’s important to celebrate the positives. use your library, and encourage others, to help the stats. make sure communicate the contemporary offer to those who don’t value their libraries. Notes courtesy of Edinburgh UNESCO City of Literature Trust. The 19th annual Wigtown Book Festival promises more than 250 events and welcomes a multitude of authors and famous names. This year’s festival, from 22 September to 1 October 2017, includes sessions with leading Scottish authors Andrew O’Hagan and Denise Mina; from the world of sport Judy Murray and jockey Declan Murphy; politicians turned writers Roy Hattersley and Alan Johnson; TV presenter Rick Edwards, journalists Martin Bell, Jeremy Bowen, Gavin Esler and Bridget Kendall; and Palme d’Or-winning screenwriter Paul Laverty (I, Daniel Blake), who grew up in Wigtown and attends the festival for the first time. The opening evening will see the launch of the Diary of a Bookseller, written by Wigtown bookshop-owner Shaun Bythell. The subject of a bidding war between publishers, the book recounts a year in the life of a secondhand bookshop owner and reads like a cross between George and Weedon Grossmith’s comic classic Diary of Nobody and TV series Black Books. 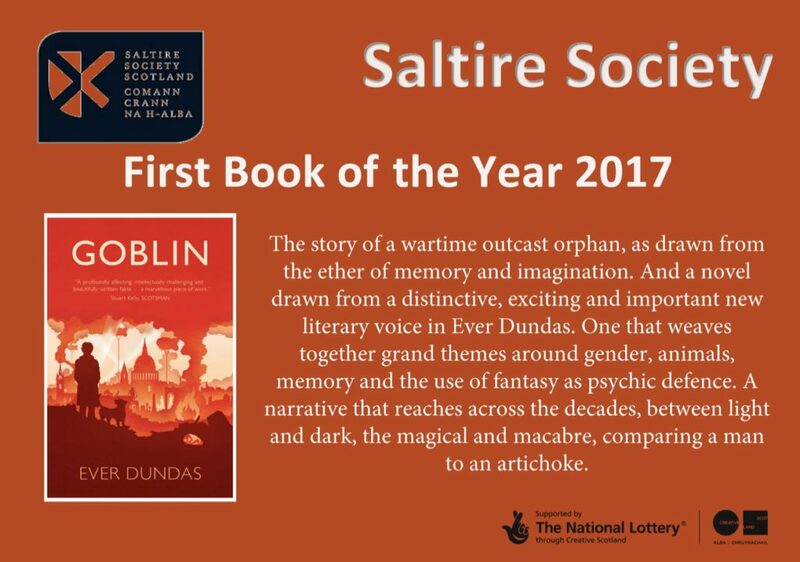 It is one of three books from major publishers to be based in Wigtown and published this year. At the heart of the 2017 event is a new international strand, World Town, which seeks to bring new voices from abroad to the festival. The programme welcomes overseas writers and commentators to discuss the German elections (24 September) and Catalan referendum (1 October). There are also sessions on the rise of France’s President Macron, the decline of US influence in the world, and how Brexit is seen by our continental neighbours. As part of this international theme, the Upland/ Spring Fling artists’ residency, now in its 9th year, will welcome Moroccan storyteller Mehdi El Ghaly and photographer Houssain Belabbes to work with their Scottish counterparts Anne Errington and Laura Hudson Mackay. Together they will be exploring the connection between Moroccan and Celtic storytelling traditions. Artistic director Adrian Turpin comments: “Wigtown welcomes the world. It may be a small town in a remote part of south-west Scotland, but it’s also Scotland’s national book town, visited by an increasing number of book lovers from across the globe, many of whom have chosen to make their homes here. Closer to home, the 2017 Wigtown Book Festival also celebrates Scotland’s Year of History, Heritage and Archaeology with Professor Sir Tom Devine. It also looks at the particular contribution that the south-west of the country has made to Scotland’s national story, from Covenanters and the Galloway Viking Hoard, to the works of historian Thomas Carlyle and engineer Thomas Telford. Taking inspiration from the 100th anniversary of the Russian Revolution and the 500th anniversary of the Protestant Reformation, the 2017 festival will consider technological, social and political revolutions and the forces that drive them, through the works of among others Alec Ryrie (Protestants), Victor Sebestyen (Lenin the Dictator) and Douglas Murray (The Strange Death of Europe: Immigration, Identity, Islam). A series of new Walking & Talking events will encourage the exchange of ideas on the hoof, with an aim to refresh the spirit and exercise mind and body. James Canton will recreate ancient Wigtownshire; author of A Book of Silence, Sara Maitland, leads a silent walk; taking inspiration from poet Harry Giles, writers Robert Twigger and Jessica Fox find new ways to explore the Galloway Forest Park; while author and farmer Rosamund Young will bring to life her cult book The Secret Life of Cows on a local dairy farm. There’s also plenty to do not centred on books. This year the festival offers film screenings in the County Buildings, a nightly theatre programme at Scotland’s smallest theatre, The Swallow, and a number of visual arts exhibitions. Music includes Stravinsky’s The Soldier’s Tale, played by Glasgow’s Auricle Ensemble and the fantastic Commoners Choir, whose songs of revolt and dissent are a central part of this year’s Revolutions theme. Wine and whisky tastings will be provided by Nikki Welch and Blair Bowman, while the festival also offers a tour of Galloway’s new gin distillery Crafty and ice-cream maker Cream o’ Galloway. Light relief is provided by comedian turned classicist Natalie Haynes, while the stand-up farmer Jim Smith gives the low-down on rural life. The legendary festival talent competition and ceilidh also return on Saturday 23 September and 30 Septemberrespectively. In a packed children’s programme, Abie Longstaff invites you to check into the Superhero Hotel, Mairi Hedderwick tells us what Katie Morag did next, Tony Bonning reveals folk tales from the region, and spells abound inSylvia Bishop‘s magical bookshop world. There will be a tea party for tigers and a Mudpuddle Farm drawing session with Shoo Rayner, while Philip Ardagh explores the world of Moominvalley. Popular children’s authorsVivian French and Debi Gliori host a workshop of superheroes and monsters encouraging creative minds to devise a character and story. This year’s programme also introduces for the first time a range of free events on the final Sunday. A separate young people’s festival, WTF (Wigtown: The Festival) offers more than 25 free events programmed by young people for their peers, aged 13-25. Writers attending will include Cathy Macphail, Kiran Millwood Hargrave, Helen Grant and Brian Conaghan, winner of the Costa Children’s Book Award 2016. The young people’s programme also features advice on creating comics from Gary Chudleigh, Alan Grant and John McShane, inspirational spoken words with Savannah Brown, a writing masterclass from Nadine Aisha Jassat and workshops that include drawing (with illustrator Shoo Raynor), editing and ceramic design. Funders– Wild Foods of Scotland, Creative Scotland, Dumfries & Galloway Council, EventScotland, The Holywood Trust, Engage, Batchworth Trust, Winifred Kennedy Trust, Mr Edward Hocknell, The Korner Family, Sir Iain Stewart, WS Wilson Charitable Trust. With kind thanks– to all volunteers and local businesses who help make the festival every year. EventScotland is a team within the VisitScotland Events Directorate, the national tourism organisation which markets Scotland as a tourism destination across the world, gives support to the tourism industry and brings sustainable tourism growth to Scotland. For more information about VisitScotland see www.visitscotland.orgor for consumer information on Scotland as a visitor destination see www.visitscotland.com. For further information about Creative Scotland please visitwww.creativescotland.com. The following information is taken from Creative Scotland’s website. Creative Scotland is the national development agency for Scotland’s arts, screen and creative industries. We are looking for a Literature Officer to join us and support Creative Scotland’s work in the context of our 10-year Strategic Plan and our Annual Plan. You will be an active member of the Literature team and will assess and make recommendations on a range of funding applications, projects and funding. You will also be expected to lead on a number of different projects and support the wider work of the Literature Team across a variety of different programmes. The person appointed will work closely with cultural organisations and other key stakeholders to support the delivery of our work in literature and publishing. Our ideal candidate will have a successful track record of project management and good knowledge of literature and publishing across Scotland. You will have demonstrable experience and knowledge of the literature sector, experience of readership or literature development including experience of working with a wide and diverse range of writers and literature professionals. You will also be able to demonstrate experience in carrying out detailed assessments of proposals and producing clear reports and recommendations. Experience and understanding of the arts in Scotland, in particular literature and publishing, combined with strong interpersonal skills is essential. Experience of managing evaluation and monitoring processes is desirable but not essential, as is the ability to develop and establish partnerships both at home and abroad, and demonstrate commitment to our core values. Closing date for receipt of completed application forms is 12 noon on Thursday 7 September 2017. Interviews will be held in Edinburgh on Tuesday 19 September 2017. If selected for interview you will be expected to be available on this date. Download an application form and information pack here.